Cigalon manages a restaurant in a small town in Provence. A chef with a high opinion of his past culinary achievements, he makes no effort to attract customers and is rude to those who venture into his establishment expecting to be fed. 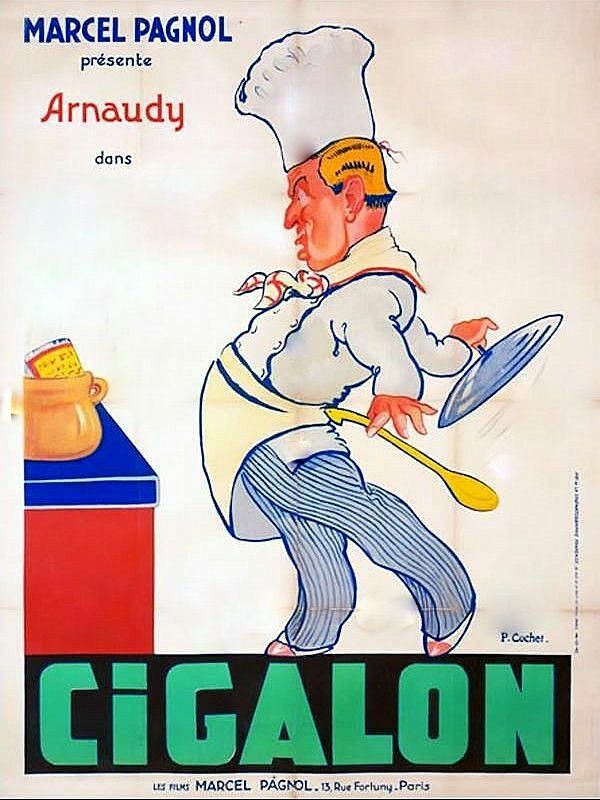 To Cigalon, gastronomy is the greatest of all the arts, and so he is naturally aghast when a former laundress named Madame Toffi opens a restaurant next door to his. Madame Toffi does not share his elevated notions and intends to serve meals to the general public – an appalling prospect! While Cigalon’s restaurant remains empty, Madame Toffi’s is always busy. To prove he’s the better chef, Cigalon must now start catering to the whims of paying customers or be forced out of business. DVD-R is in French with switchable English and Spanish subtitles. Approx. 72 mins. See film sample for audio and video quality!